Blessed with a sunny Mediterranean climate, Barcelona is known for its architecture, culture, cuisine and a buzzing nightlife. This 3-day itinerary covers all this and more in a city known to constantly reinvent itself. Tripoetic provides a similar personalised sightseeing plan for every destination that you visit during the holiday. On the first day, embark on a flight of architectural fancy. 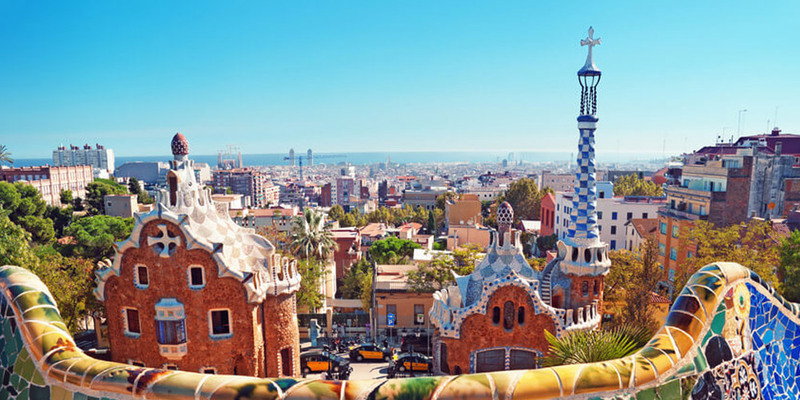 Explore the city’s wonderful masterpieces built by Antoni Gaudi. Start with Barcelona’s iconic symbol, the Basilica of Sagrada Familia, a large and intricate Basilica that continues to be under construction for the past 135 years. The design elements and the religious symbolism built into all the spaces of the church is really captivating. Marvel at one of the strangest residential buildings in Europe, the Casa Batllo. A benchmark of modernism, it has become a legend of art, architecture and timeless universal design. Its unique interior is just as extraordinary as its fairytale-like exterior. Then head to Parc Guell. Colourful, cheerful, and full of whimsy, this splendid surrealistic park also features a spectacular terrace that offers panoramic views of the city and the sea. Visit Camp Nou stadium in the evening and take the Camp Nou Experience tour, something that football fans will love! You will get to see the stands, the field, the dugout, the changing rooms, the players tunnel and the area dedicated to Messi. By late evening make your way to the Tablao Flamenco Cordobes to watch the most authentic Flamenco show in Barcelona. A characteristic element of Spanish culture, this performance includes singing, guitar playing, dance, vocalizations, handclapping and finger snapping. Hop on board the Teleferic de Montjuic (Montjuic Cable Car) in the morning. Get a bird’s eye view of Barcelona as you climb to Montjuic Castle. You can spot Barcelona’s famous landmarks, such as La Sagrada Familia and the Agbar Tower, along with great views of the port. The castle itself is a nice place to wander around. Next stop is Placa Espanya, it is one of the most important squares in town and serves as a gateway to many of Barcelona’s modern attractions. Head towards MNAC or the Museu Nacional d’Art de Catalunya from here. 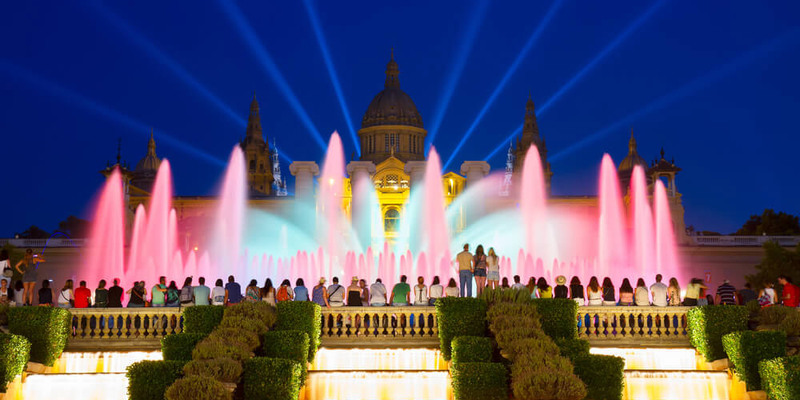 The wide avenue going to MNAC is lined with fountains and flanked by the Fira de Barcelona which hosts international trade fairs throughout the year. Through the gardens behind MNAC, go to the beautiful Estadi Olimpic (Olympic Stadium). The 1992 Olympics totally transformed Barcelona, so visiting this stadium is a must! Go back to Placa Espanya and after dinner get ready for a magnificent experience at the Font Magica (Magic Fountain). The fountain offers a spectacular display of music, water acrobatics and lights that generate over 50 shades and hues as night falls on the city. 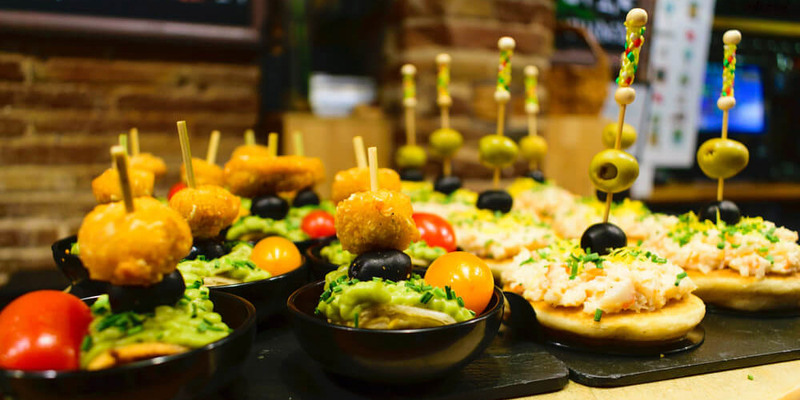 The most unique experience of this itinerary will be scheduled today, the Tastes, Tapas & Traditions of Barcelona Food Tour. Explore two of Barcelona’s most emblematic neighborhoods, the medieval El Born and the fishermen’s quarter of Barceloneta, and taste some of the best food this city has to offer! Since this tour ends in Barceloneta, it will be good to spend some time on the beach. This shore of Mediterranean has some of the oldest and best-loved beaches of Barcelona. Then head towards Passeig de Gracia, the elegant boulevard that is filled with international fashion brands from around the world. So now is the time for some shopping on this trip! Spend the rest of the evening at the Las Ramblas, a bustling hive of activity. Featuring expansive pedestrian sidewalks, street performers, shops, restaurants, and outdoor cafes, it is one of the most popular hangouts in the city. After dinner, go for some clubbing in this famous party city of Europe. Make your way to the Moog club near Las Ramblas. It is Barcelona’s ultimate techno and electronic destination and one of the most well-regarded clubs of its kind in Spain. So just dance the night away! There perhaps isn’t a better way to say goodbye to Barcelona.